Kelechi Iheanacho scored in each half but it was his strike 13 minutes from time that required the intervention. He deftly finished, only to turn and see the flag raised, but referee Jon Moss paused the game while the VAR checked the decision, before concluding that the forward had been fractionally onside. All but ending this FA Cup 3rd round replay as a tie, the whole process took a refreshingly short amount of time to sort the incident out. "I didn't know if I was onside or offside but I agree totally now that I was onside", Iheanacho told BT Sport. Riyad Mahrez was a whisker away from breaking the deadlock five minutes later with a free-kick that clipped the outside of the left post from 20 yards out, while Amarii Bell was allowed to advance on goal moments later and sliced a shot well wide of the left post from distance. Leicester will now face Peterborough in the fourth-round. The £25m Nigerian became the first player to score a goal broke the resistance of Uwe Rosler's Fleetwood when he struck two minutes before the break in the third round replay. The Foxes battled to get going in the first half, but they still took a 1-0 lead into the break courtesy of Iheanacho's 43rd-minute opener. 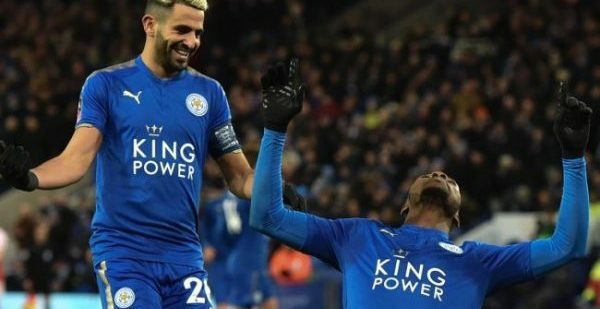 True enough, after a detailed scrutiny of the incident once again, the linesman was found to be mistaken and Iheanacho was awarded his and Leicester City's second goal of the night. Sheffield Wednesday beat Carlisle 2-0 and will next play Reading, which won 3-0 at home to Stevenage.